This isn't the U-T. Proofreading is allowed. There was a rumor a few weeks ago that the Peters campaign was hiring people for a paid walk and phone program. In doing the back of the envelope calculations, he would need as least half a million to make it happen. This is what has happened and more. According to the latest FEC filings, Scott Peters has loaned his campaign 1.25 million dollars to defeat Lori Saldaña and secure a place in the general election against Brian Bilbray. That kind of money could fund three campaigns for San Diego City Council. It could revitalize the county Democratic Party. It could be seed money to launch a new generation of progressive operatives through out the county. Instead, it is going to secure a likely number two position in an open primary. The race between Peters and Saldaña is seen as an inter-party one with Republicans coming home to Bilbray. The chances of a Democratic candidate coming in first with a split Democratic electorate are slim. The question remains if this will be enough money to make it happen. If you subtract his personal contribution, Saldaña raised more money than Peters in the most recent FEC filings. She is burning her money at a rapid rate and doesn’t have much of a cushion to fall back on but she has made this race close enough to force Peters to dump a ton of cash for a primary. With 10 days to go, the campaigns have settled on their basic strategies: Saldaña’s campaign is playing to the base, touting progressive endorsements and working the field while Peters’s campaign has launched a paid walk and phone program, television buys, and at least 20 pieces of mail so far with more to come. Peters – The firefighter robo-call and overall mail strategy. The call about Saldaña and public safety by the firefighters was one of the few instances when a robo-call was a good investment. It amplified Peters’s public safety record and his mail campaign about the same subject. The odd thing is that public safety polls very well with Republican women. Primary elections tend to skew partisan so this gamble at Republicans may not be enough if that is their strategy. As for his mail, there is a lot of it so his name ID has risen. Saldaña – The hand written letters and her hits on Peters. The hand written letters are very labor intensive but they did the trick. 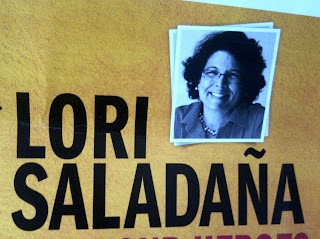 Arriving in mailboxes just as the first batch of campaign literature began dropping they cut through the clutter and reinforced her message as a community-based campaign. Her Enron-by-the-Sea hits on Peters are successful but maybe too successful because Bilbray has begun mailing voters about the same thing. Peters –Mail and social media. Mail cuts both ways. The Peters campaign is running too close to having a Meg Whitman-like effect with voters. They are mailing so much that, with the competitive mayoral race in the mix, voters may just toss any mail from any of them into the recycling bin without looking. And Peters’s mail doesn’t stand out amongst the clutter that it must compete with. As for social media, there was a sustained attempt by campaign staffers and volunteers to convince voters on Facebook and Twitter that Saldaña was crazy, a liar, and not to be trusted. They received responses but, as this campaign went on, the same 20 people were talking to the same 20 people. There wasn’t any noticeable traction with this two-month “whisper” campaign and all it did was make the posters look crazy, like liars, and not to be trusted. 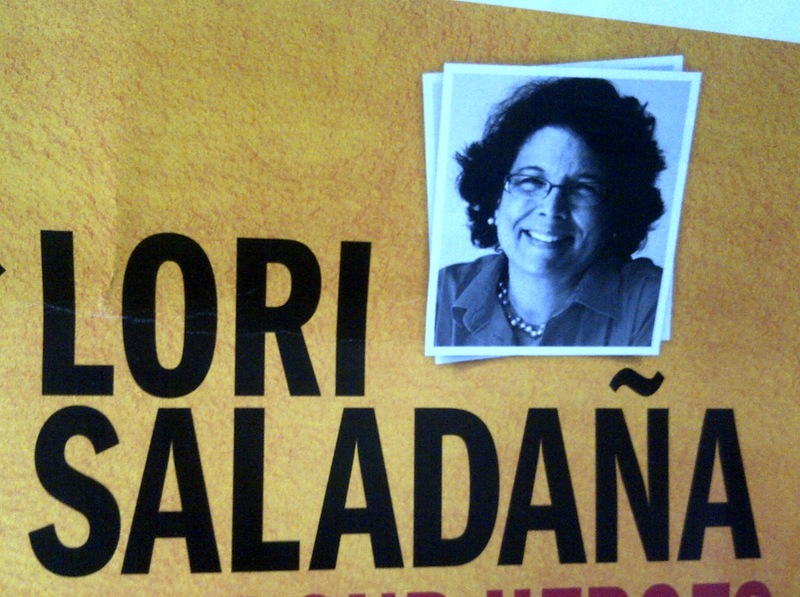 Saldaña – Mail and candidate missteps with the media. Having just stated that Peters may be putting out too much mail, Saldaña may not be putting out enough. What she has mailed out has been creative and seems to work but it may be buried in the avalanche of Peters mail and whatever the mayoral candidates are sending. And Saldaña has not had the best of relationships with some media outlets (CityBeat) and they are not afraid to let their readers know. Saldaña’s roughness around the edges when it comes to the media has cost her and campaigns this close don’t need self-inflicted wounds. 1) Unifying the Democrats behind either one of these candidates won’t be easy and may not be possible. This race has ripped open a divide within the Democratic base between the “activists” and the “establishment.” Should Peters win, the activist core that has been the backbone of the Saldaña campaign and made this race competitive may not come out to staff Peters’s operation. Should Saldaña win, Democrats in power may not lift a finger to prevent the 52nd from going Republican. Labor is behind Peters, the state party is staying out and the local party is divided. A union of sorts can be cobbled together but it will take great diplomacy and require a number of people to eat nice slabs of humble pie for it to happen. 2) D.C.’s influence should be minimized. When D.C. operatives fly in and take over a campaign, they will run the kinds of campaigns they know, hire people they know, and pay lip service to anything the locals may know. The Busby campaign is a great example of this churn and burn. D.C. campaigns are predictable and these are the campaigns that Republicans love to run against because they know the playbook. Either Scott or Lori needs to win and on their terms. 3) Be ready to roll the day after the primary. There will be all kinds of fence mending to be had. Get to it ASAP because there won’t be time when the Republicans kick into high gear. The polling around the race indicates that, since he began mailing, Peters has cut Saldaña’s lead to within the margin of error but has not overtaken her. His support appears broad but soft while her supporters are solidly behind her and aren’t moving to another candidate. Expect some last minute hits from either or both campaigns because it is that close. This race will likely be decided by their respective ground operations. Interesting analysis, but it doesn't address the potential outcome: we could wind up with the Juan Vargas machine flexing its muscle in future matters, and a loss in CA-52. We are smart people and need to look beyond the surface.